The Christian family is large and diverse. The little corner of that family that I occupy is usually called “Reformed”, meaning they can trace a lot of their distinctive teachings back to John Calvin. Now, if theres one thing Calvin is known for (other than the burning a heretic thing) is a section of his teaching on Predestination–the idea that before everything, God “decreed” that only some people would be “saved”, and others would not be–they didn’t make the choice in that matter, He did. Now, “Calvinism” wasn’t actually a thing until after Calvin had died, and he had a lot more to say about a lot of things other than Predestination. Nevertheless, having just recently re-read the portion of his magnum opus that deals with this issue, I can say that even the most caricatured, extreme articulations of Calvinism out there have a strong kernel of truth. 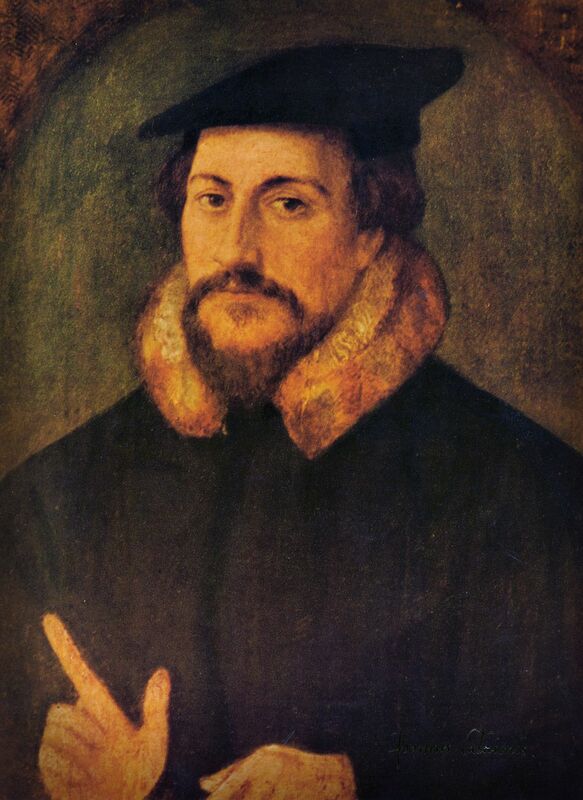 Calvin was definitely a Calvinist, in all its untactful, harsh, unapologetic glory. In college, I got super into Calvinism and took it way too far (Exhibit A; Exhibit B). I hurt a lot of people. Then I went to my first seminary and mellowed out on it. Since then, I’ve just been absorbing lots of different strands of thought around this issue, and haven’t really made a concerted effort to synthesize them. I’ve sort of been sitting in the Mystery of it all. This seminary semester, though, I have to bring together all my thoughts on Predestination and its related doctrine of Election into some coherency. This means I’ve been thinking about this a lot. And today, I want to offer some of my random, contradictory, messy thoughts and get your responses and help. Imagine my brain on this topic as a big ball of yarn, with each strand of thought existing together all at once, not being able to distinguish where one thought ends, where the other begins, and how they can all fit together. First, there really isn’t any such thing as “Free Will”. I can’t “choose” to have different parents, to fly, to shoot lasers out of my eyes, to breathe underwater, what color hair I naturally have, where I was born, etc. Arguably, the most formative, important, foundational things to who we are as people are unchosen. The point in saying this is to point out that our wills are not “free”, but are bounded by nature. All our choices are limited by our nature. And so, in my mind, we are absolutely free to choose and will whatever we want!…..within the bounds of our nature, both physical and spiritual. This is why the language of conversion is so radical in Scripture: “You must be born again…”, “We were once dead in our sins and trespasess…”, “Wake up, O sleeper…”. Those whose spiritual natures have not been changed by the Spirit of God can freely will and choose within the limits of their nature, but that, even if it is able to choose God, will never do so. If that’s the way it is, can you imagine that any creature in that situation–no matter how “able” they are to do so–would reject their Creator? I also hold to what is casually called “Single Predestination” (or the fancy term is “infralapsarianism“). I think that God only elects people for heaven, not hell (whatever “hell” precisely is). He doesn’t “choose” who doesn’t get saved. Except for a few difficult-to-interpret passages, nearly all the mentions of election are only in the positive sense. God elects people unto salvation. Another way of saying it is that when God was electing his people, he was choosing out of a pool of people that had already freely chosen to reject God. He wasn’t staring at a morally neutral pool of folks and then “pre-destinating” them to either Heaven of Hell. Humans elect themselves to Hell; God elects others to Heaven. But I also have this thought: what if everything I just said is B.S.? Maybe that strand of thought is based more on a medieval structure of the universe and makes it sound like God is playing some game. But God isn’t. God loves his creation. Yes, his election is always unto salvation, but it’s always unto the salvation of the entire world. This is Lesslie Newbigin’s line of thought, which I love. God doesn’t elect people “for heaven”. He doesn’t save people “from” something, but “for” something. “The Elect” are not those that are going to be in heaven, but they are the “Elected” ones through whom salvation will be extended to the rest of the world. Just like Israel, the prototype of election, the Elect are not simply the recipients of “favor”, but are the recipients of Mission. Election is a responsibility and vocation. I also love the Neo-Orthodox view of election explained by Karl Barth, where God doesn’t elect individuals. He elects and predestines Jesus. Jesus is the “Elect”, and then we are free to live as those connected to the life of the Elect one, or not. Before the foundation of the world, God elected Christ for salvation, and in his Incarnation, he sweeps humanity into his own “Electness” and invites us to live into the salvation that is all of ours. If we don’t, there are consequences, but that makes salvation and election no less our own. Everything I’ve articulated is still really individualistic. God doesn’t elect individuals. He elects whole peoples, and he has elected the Church for salvation. And then people “freely” (see Strand 1) choose to live as part of that chosen, elected, predestined group or not. But God’s focus is on electing, forming, and shaping a people for his glory–not individuals. We really have no earthly idea what we’re talking about here. On this point, Calvin got it right. These are the deepest recesses of the counsel of God. Scripture says different things on this. You can find verses to justify whatever scheme you like. In the end, whatever the specifics of election, it is an act of love by God. It is how he responds to our waywardness. Not by trying to coax or cajole or threaten, but by choosing us before we ever had a thought for him. We belong to God’s heart before he ever belongs to our own. And so objectively, when it comes to my theology and what I think the cosmic set-up of everything has been, yes, I’m a total Calvinist. But subjectively, in my lived experience it is an aspect so secret in the heart of God, we can’t pretend to understand how it’s playing out in our world. So I will preach and minister while telling people God has died for all of them, chosen all of them, and that they have to each choose God with their wills, all while worshipping and praising God for having chosen the Church and all who would belong to the Divine. What do you all think? If you’ve studied theology, where do you land on this issue? If you haven’t, what are your thoughts? Do you think this is just crazy to talk and think through in the first place? Does it encourage you? Scare you? Let me know in the comment box below. I originally commented on your facebook page but then it occurred to me that you may like to have comments posted here so I copied and pasted. Ok, after reading your whole post, I didn’t see anything that touched on how I personally deal with the subject. That said, there were many things I did relate to, especially “Strand 4.” Later, you wrote, “You can find verses to justify whatever scheme you like.” So, for me, the key is to figure out what might satisfy all the various applicable passages at the same time. In other words, some might look at this as an argument with contradicting ideas presented by scripture. I like to look at it as a presentation that we have to step back away from to get a better appreciation. I settle on the idea that the differing passages are coming at the same issue from different points of view. Based on what you wrote throughout, you’re already aware of all of the passages that indicate God chooses who will be saved. But then we have to counter that with the John 3:16’s and the notion of “whosoever will.” My understanding is that from God’s perspective, He chooses the saved but from man’s perspective, man chooses salvation. It’s the same act, but viewed from different positions. It’s completely understandable that it could look different from each side. The illustration I use to help visualize it is the position of the sun in the sky. If two people, one in England and one on the West Coast of America were to observe the sun in the sky at the exact same moment, they would be looking at the exact same thing but they would be seeing it very differently. The Brit could be observing a sunset while the Californian is observing a sunrise. The “contradiction” between free will and predestination is much like this – not contradicting but rather complementing, in my humble opinion. I have to side mostly with Karl Barth. In John 14. 15, 16 dies Hesus not indicate that as the Father is in me, I am in you. We as the church are the bride of Christ. We as the church are as Psalms 16 says the saints in the Land. I am a Calvanist. I am an Elder in my church. I believe God chooses and we reject. As much as I appreciate Calvin on many things, I don’t follow him on double predestination. Even he was lucid enough to see it as it was and call it the horrible decree. I think that the truth is probably somewhere between Barth, Torrance, and Newbigin. Not crazy at all! You touch upon many of my same thoughts . I might prefer radical corruption to calvins total depravity as this allows for the radical change in us effected by the Holy Spirit. Thus God doesn’t drag us kicking and screaming into heaven nor does He abrogate free will. Rather by His unfathomable counsel changes us so our will is freed from the slavery to sin. Please check out the “willusionists” a group of neuroscientists finding evidence that our brains make choices before our conscious awareness thus rendering free will an illusion.